The design of the PHOENIX Dining Table will bring a sense of calmness and simplicity to your dining room. 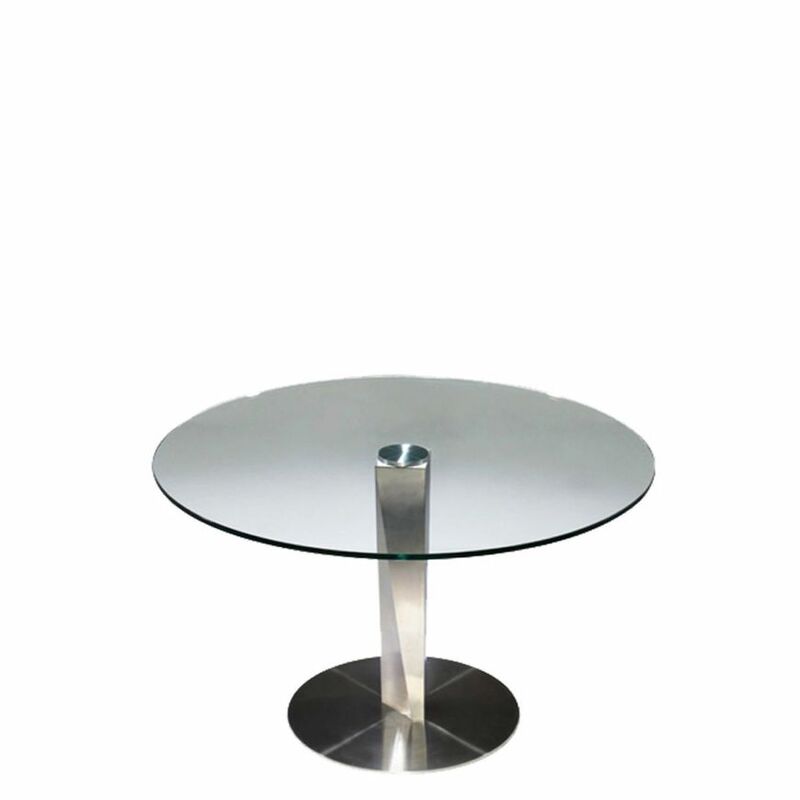 The glass top sits on a strong and sturdy metal pillar which are fused together. The pattern and shape of the metal support pillar add a subtle detail that completes the look. Great for small spaces, this round glass dining table works well in almost any setting.